A truly exceptional Property ... Breathtaking Classic Curb Appeal. 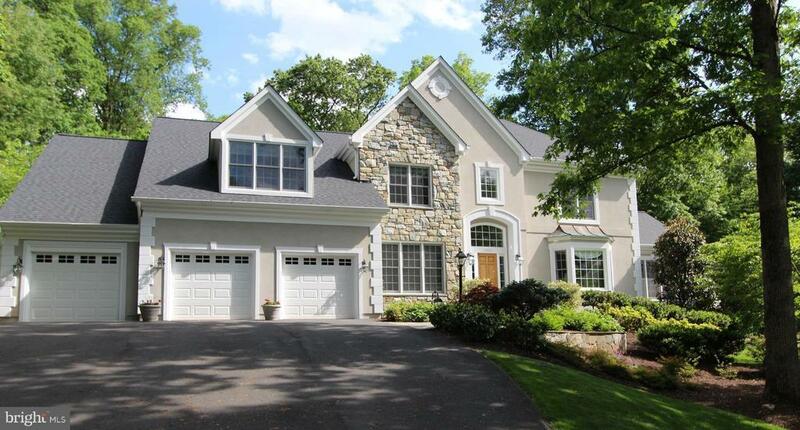 Stone & Stucco manicured Masterpiece on just over an Acre Cul de Sac Lot in Leafy Oakton. Over 5, 700 square feet of sun-drenched space with all the updates youve been looking for. Two-story sun-drenched foyer. Stylishly renovated Kitchen with Brookhaven (Woodmode) Cabinetry, Granite Countertops & GE Monogram Stainless Steel Appliances. Wine Bar & Wine Fridge. Central island with plenty of Seating & 5-Burner Gas Cooktop. Breakfast Nook opens to Multi-level Terrace for dining al fresco. Spacious Living Rm with Bay Window Overlooking Lush Gardens. Gorgeous Hardwood Flooring on most of Main Level. Elegant Formal Dining Room with exquisite Architectural Details. Dual Staircases unite the main and upper level. Family Room with Skylights & Fieldstone Hearth Gas Fireplace is wide open to the Kitchen and also opens to a private, cloistered Screened Porch. An amazing Sunroom enjoys plenty of natural light from windows on 3 sides as well as ample Skylights. Main Level Study overlooks Front Gardens & features Built-in Cabinetry & French Doors. Main Level Laundry/Mudroom. Upper Level features 4 generous Bedrooms including 2 Master Suites! The Owners Retreat offers a generous Sitting Area, Walk in-Closets and a stylish, Spa-inspired renovated Master Bath. A 2nd Master Suite has a private ensuite bath and separate Sitting Rm/Homework Rm. Walk-up Lower Level with a spacious Rec Rm, Den, Bonus Rm and Full Bath. The perfect "playable" backyard in the most picturesque neighborhood in Oakton. Walking distance to the private Flint Hill School. Oakton High School pyramid. 5 minutes to Vienna Metro.